This is your opportunity to “share your Passion for Porsches” with other Parade entrants. Whether you are an experienced Concours participant or pondering entering for the first time, there is a place for everyone to be involved and have fun. 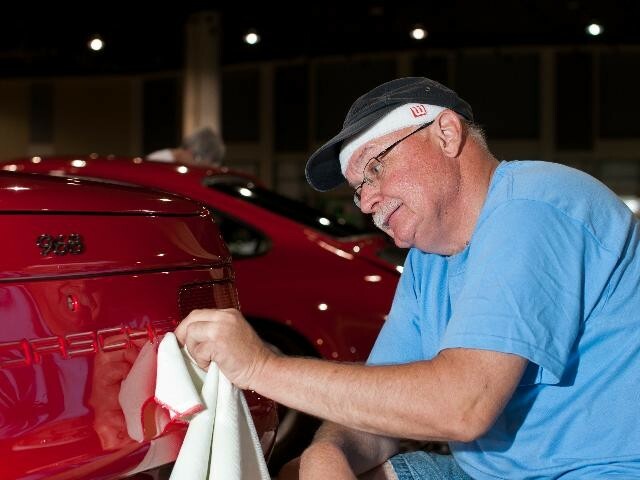 It’s not just about winning a trophy, it’s about getting involved and participating with others that have similar, but different Porsches, and learning new and interesting techniques and/or "tricks” that might assist you in improving the look and appeal of your own Porsche. And it’s about establishing new and fostering old relationships with others that share your Passion. The Concours will be held on Monday, 9 July on the magnificent grounds of the Utah State Capitol Building overlooking downtown Salt Lake City. The grounds offer multiple levels of display area to include tree-lined graveled paths, foliage laden open grassy fields and tiered concrete plateaus leading up to the massive Capitol Building. The photo opportunities will be most rewarding, having gorgeous Porsches staged all over the grounds with the mammoth Capitol as a backdrop. Concours participants will be escorted to the site, which is approximately 1 mile straight up the street from the host hotels. The route will Parade Porsches through the middle of Salt Lake City and pass many of the city’s famous Historical venues. The event will include Porsches from “all walks of life”—those competitively judged, those shown in the Heritage/Historic display, and those gathered in the corral for casual viewing and comments. The Concours preparation area will be a dedicated floor of the Grand America Hotel parking garage located below ground level of the hotel. Although not air conditioned, the Concours preparation area is well ventilated with exhaust fans and is well lit with high intensity lights. Electrical outlets are plentiful and wash areas will be provided. We will look forward to seeing you at the Capitol.